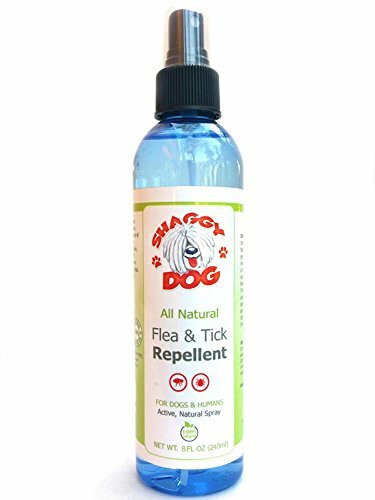 Shaggy Dog's 100% Natural Flea & Tick Repellent safe for humans and pets. It is especially formulated with a blend of Essential Oils as their active ingredients. It is safe to use on skin, and works well on pets' coat or bedding as well. Scientific studies indicate that these natural ingredients repel insects more effectively than other synthetic formulas. Easily applied by pump action which is safe for the environment. If you have any questions about this product by Shaggy Dog, contact us by completing and submitting the form below. If you are looking for a specif part number, please include it with your message.